Ever wondered how to make playdough? Here's a recipe for playdough that my mom sent me recently. We used to make this when I was a kid and I had a blast making it with my daughter this week. Put all ingredients (except Vanilla) into a pot on the stove over warm heat. Stir until well mixed and add vanilla. Cook on Warm and keep stirring until it has the Play Dough consistancy (just a couple of minutes). Here's my little helper bee. This is the perfect project for those kids who love to help in the kitchen. Check out the adorable apron by Corey Lee Creations! 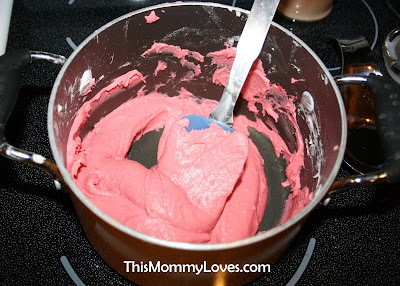 Let the playdough cool completely on some wax paper on the counter before sealing it in an air-tight container. Here's a little buddy of mine playing with the finished product. These Mommy and Me aprons are so so cute!!! Perfect for Christmas time! Check out Corey Lee Creations or visit Corey's Etsy Page to purchase. They are made using a kitchen dish towel which is absolutely perfect because how many times do you find yourself grabbing towel to wipe your hands while in the middle of something? 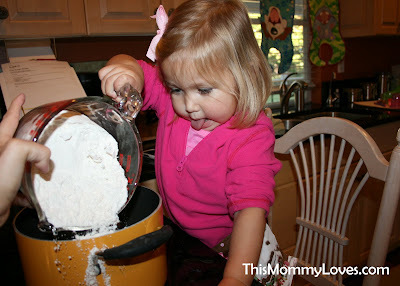 This really made things easier and my little one loved that we had matching aprons. Great news!!! Corey Lee Creations is generously donating a Mommy and Me apron set to one lucky This Mommy Loves follower. Click Here to Enter!!!! I like to LINK UP at the following Link Parties! I've always wanted to learn how to make playdoh! I'm going to have to make it with my boys. Thanks for sharing. Come enter for a chance to win a pair of free sandals! 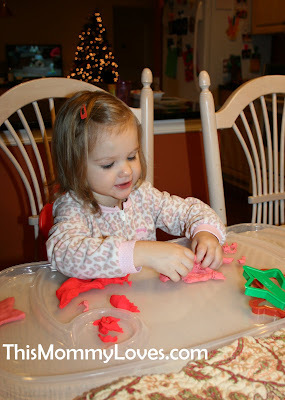 Don't you just LOVE homemade playdough?! I think it is so much softer and STAYS softer so much longer than store bought. Your recipe is very similar to mine but your final quantity seemed much greater so I will have to try it out. I have four busy boys to divide between so we need mucho play-doh. Very cute pictures :) Btw, I'm visiting from your link at Iheartnaptime. I was just telling my friend how we used to do this when we were younger and she didn't believe me! I have to send this to her! 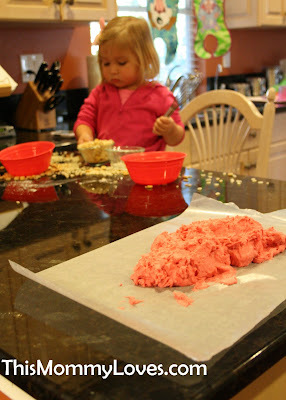 We make playdough, too:) When playmates are over they are AMaZed to find we KNOW how to make it. I'ma new follower from TatertotsandJello! 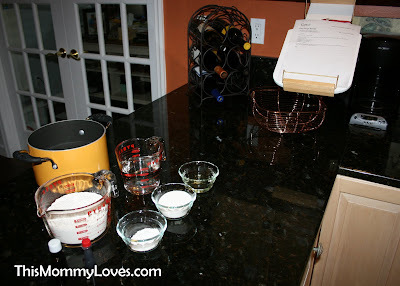 My kids love making this too, and it is the best, lasts forever, and does not dry out. Your sweet girl, looks so cute with her concentration and tongue sticking out, love it!!! 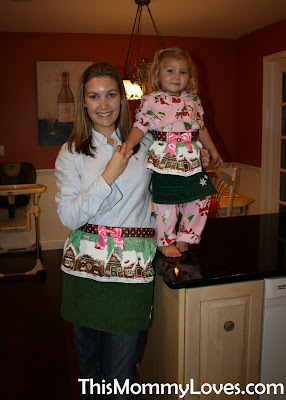 Mommy and Me Matching Aprons Giveaway!